Planning a trip to the Willamette Valley to experience the land of Pinot noir this December? 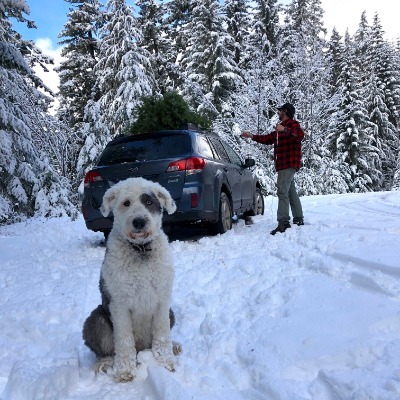 In addition to taking home a couple bottles - or even a whole case - this year, you can also pick up your family Christmas tree from the Willamette National Forest. The Willamette National Forest was selected to provide the 2018 United States Capitol Christmas Tree, this 80-foot tribute to Oregon is currently on display on the West Lawn of the Capitol Building in Washington, D.C.. Whether you’re an Oregonian or a visitor, our trees are one-of-a-kind. Here’s how to harvest your Willamette Valley tree this year. Be prepared! It’s winter in Oregon, and although the valley doesn’t often get snow, the mountains are likely to have it. Make sure to layer your clothes and don’t forget these essentials: hats, gloves, saw, straps to secure, and of course, a camera to document! Pro-tip: The main roads can get snow too, so check TripCheck.com to make sure your route is clear. If there is snow, be prepared to drive a little slower and bring your chains. Map out your trip and see where to stop to grab your tree permit. If you’re headed out on a weekend, local ranger district offices will be closed, so find your closest weekend vendor here. Permits come with a detailed map of the local district and it has clear color coding on where to harvest a tree. The permit costs only $5! Pro tip: You must cut a tree more than 200 ft from roads, rivers, stream and lakes. Forest are often narrow and unpaved. Once you arrive, find a safe place to park and make sure other cars can pass. 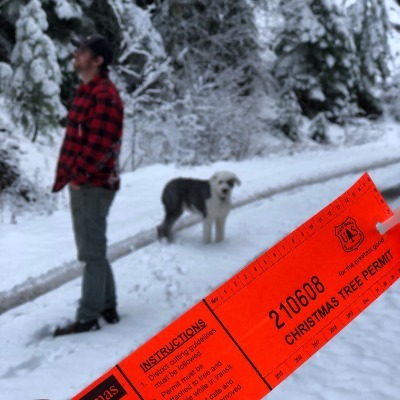 Let out your dogs, family, kids, and friends to start the hunt for the perfect tree with your permit in hand. the permit on it once it has fallen. Carry your tree back to the car and work together to safely secure it to your vehicle. The tree trunk should be at the front of the car with the top and branches directed toward the back, and permit visible when loaded. On your way back to town, stop at one of the many local cafes or restaurants for a warm beverage or a bite to eat. Poppa Al’s or Giovanni’s Mountain Pizza in Milly City, The Point in Sweet Home, or Ike’s Pizza in Leaburg, are sure to be the perfect way to celebrate finding your Christmas Tree before heading home to decorate. 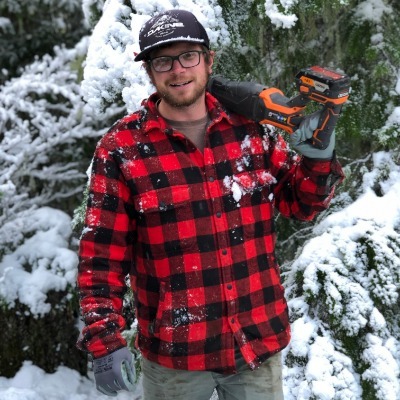 Feel like sharing pictures of your tree hunt? We’d love to see them! Send pictures to info@oregonwinecountry.org or tag #findyourtrail, #findyourtradition, and @oregonwinetrav on Instagram.